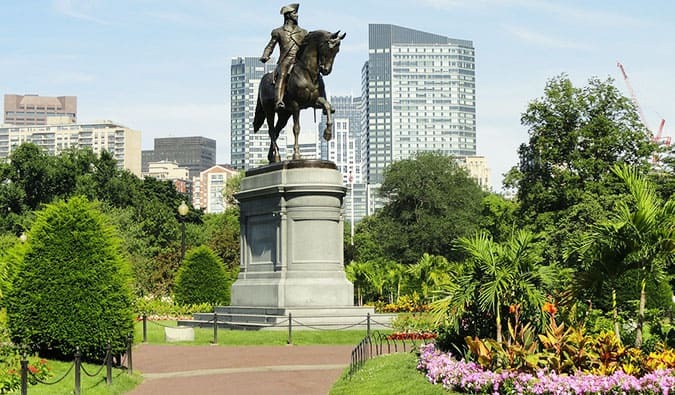 As one of the most historic cities in the United States, Boston has a lot of interesting things to do. It’s not as large as New York or Chicago, and it often feels more like a giant town than a city. I think that’s a plus, because Boston offers all the benefits of a big metropolis without the intensity and fast pace of New York. 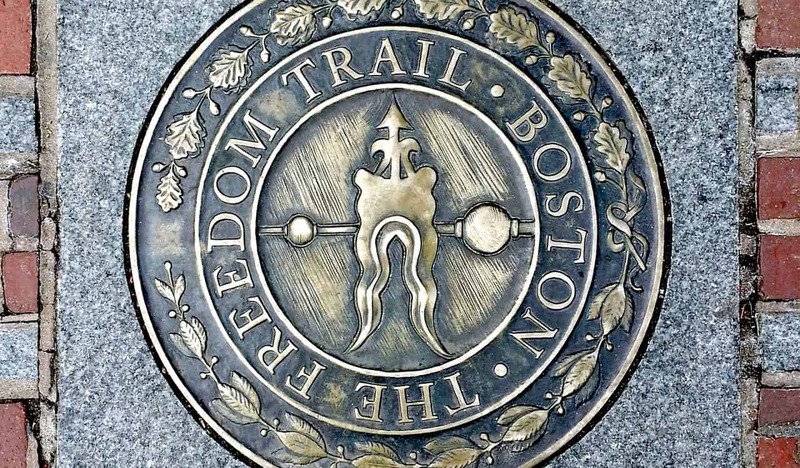 The Freedom trail is a 2.5-mile walk through historic Boston. It takes you through all the major sites and monuments. To see all the sites on the trail, expect it to take up most of your day. Given all the walking that’s involved, I would make this the only activity of the day. You’ll want to take your time and see all the sites thoroughly. After all, Boston has a very long history. It may be “super touristy,” but it does an amazing job of presenting the history of one of America’s oldest cities. Quincy Market and next-door Faneuil Hall is the best place to stop and eat lunch on the Freedom Trail. There are about two dozen different places to eat. 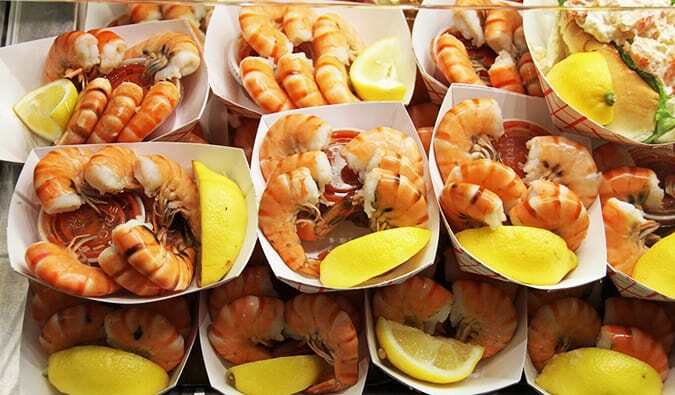 You can get just about anything here, from Greek to sushi to sandwiches and much more. Since you’re in Boston, try the clam chowder, a local New England specialty. 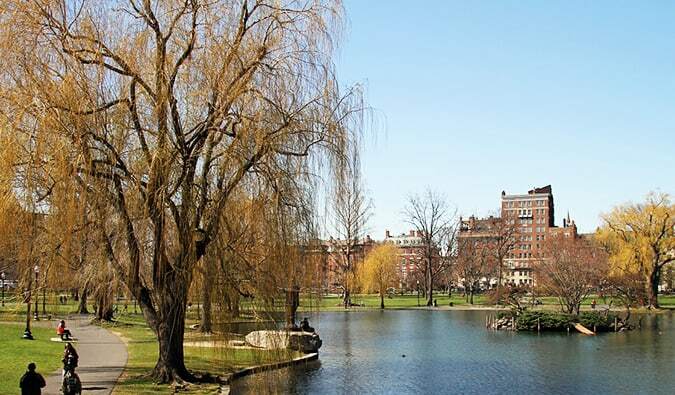 Start your day in Boston Commons, a giant park that sees plenty of people on warm summer days. There are lots of different paths to take, as well as the Frog Pond, where kids and adults can cool off. During the winter, there’s skating on the pond. Boston Commons is also a great place to go people-watching. After your early-morning walk, head across the street to the Public Gardens. You can take a swan boat on the pond in the middle of the gardens, or you can simply stroll around and see some pretty flowers. 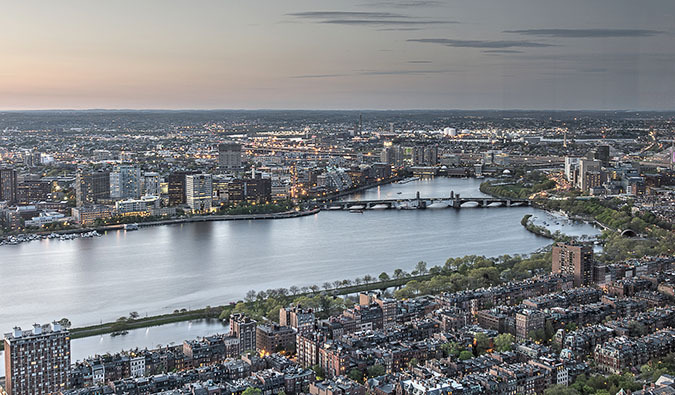 The end of the park meets Boston’s Back Bay, our version of New York’s SoHo and West Village. 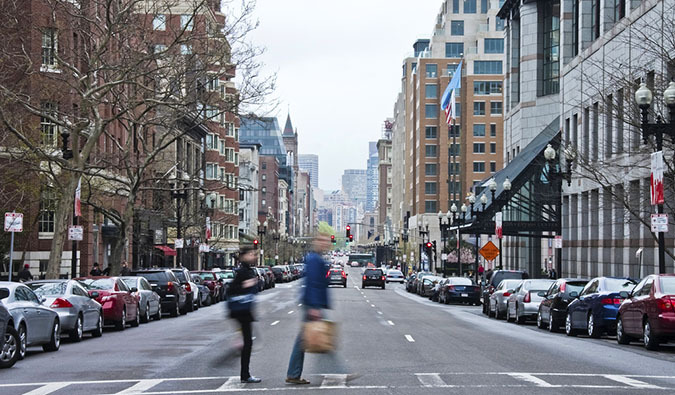 This is where Boston’s elite and wealthy live, and nearby Newbury Street is our Madison Avenue, with lots of expensive shopping. The pretty brownstones and tree-lined streets make for a peaceful, leisurely stroll. Stop at the park on Commonwealth Ave. to sit and watch the people and cars go by. 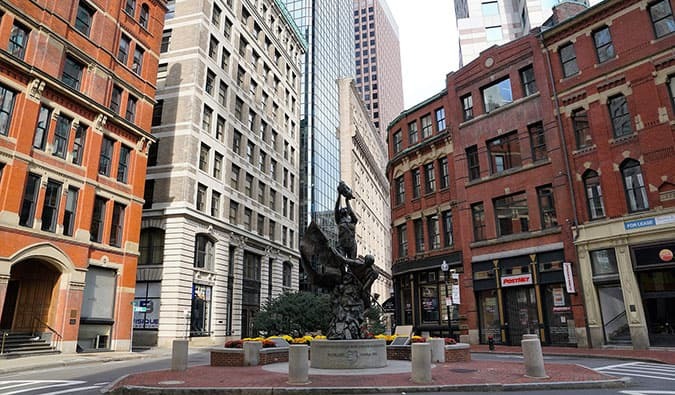 Move towards Boylston Street and eat lunch out on the patio of one of its many restaurants. (If you want to spend a bit more money, eat on Newbury Street.) Stephanie’s is good for both food and emptying your wallet. Snappy Sushi has great lunch specials, and Kashmir has delicious (and spicy) Indian food. Copley Square is a great little park where you can buy discount theater tickets, listen to musicians, and gaze up at the Hancock Tower. 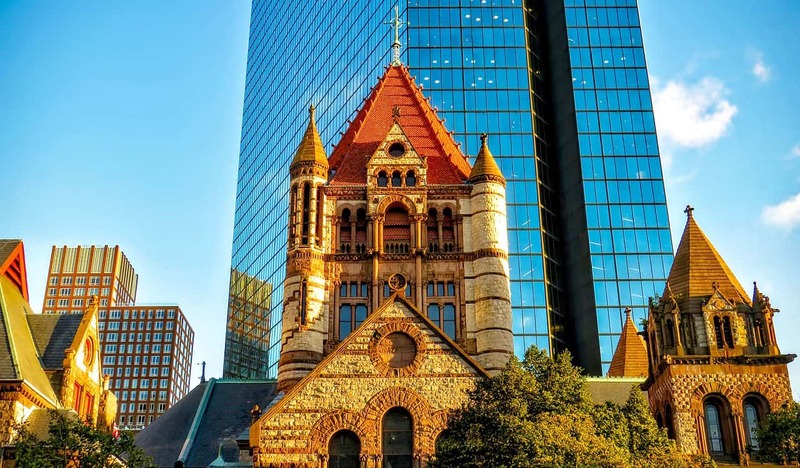 You can also go into Boston’s Trinity Church, which is one of the city’s oldest and most beautiful churches. Double back toward the Charles River and walk the riverfront. 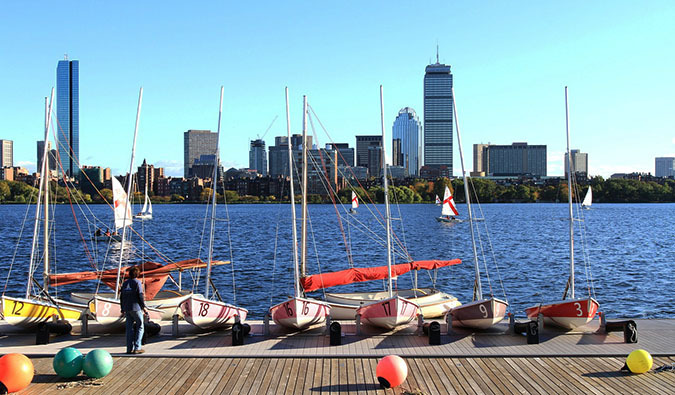 If it’s summertime, you might be able to catch a free show at the Boston Hatch Shell or go sailing on the river. If not, it’s still a nice walk, where you’ll encounter runners, kids playing, and people playing sports. At the end of the riverfront is the Museum of Science. If you aren’t too tired, check out the museum and the Omni Theater inside. Though many of the exhibits are for kids, it’s still one of the best museums in the country. The outer space exhibit is outstanding. 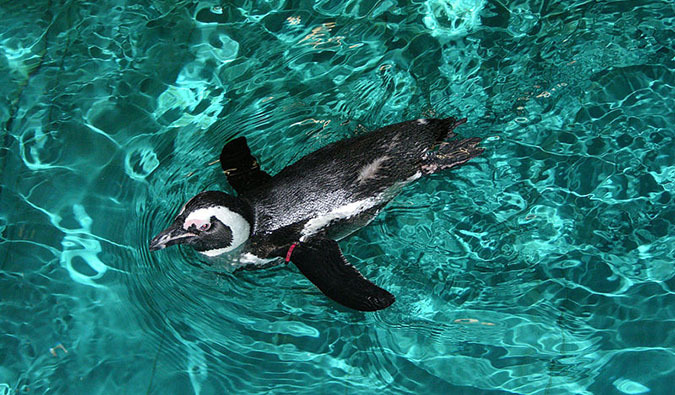 Boston’s aquarium is one of the better ones I’ve been to. It’s really well done — the fish aren’t all clustered into a few small tanks, and there’s a lot of information about how to protect the oceans. The historic North End is the heart of Boston’s Italian community. You’ll hear just as much Italian as you will Boston accents. In the morning, you’ll see little Italian grandmas shopping while the grandpas have their morning espresso. It’s almost like being in Italy. You’ll find the best gelato outside of Italy here. Once you’re out of the North End, head back toward Copley to see the Prudential Tower. You can go up to the top and get a bird’s-eye view of the city. Over 260 acres of free public space are open from sunrise to sunset. There are running trails, gardens, open lawns, and tons of flowers from all over the world. Relax among the plants and take a step back from the fast pace of the city. This place is much quieter than the Public Gardens and offers a wider variety of plant life. They also have a great bonsai tree collection. 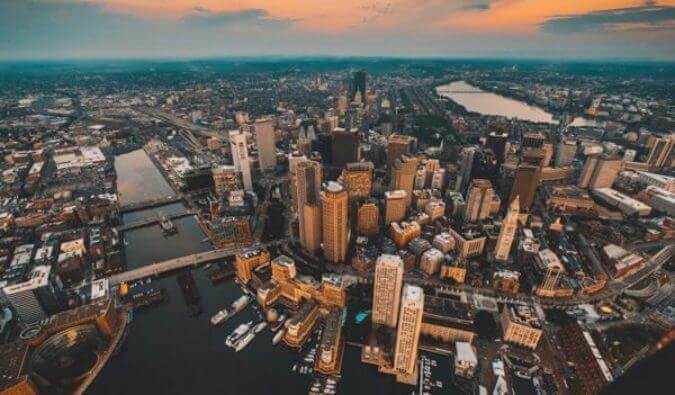 Boston is a sports town, and Bostonians are die-hard about their teams, so you’re sure to witness some intense feelings when you attend a game. 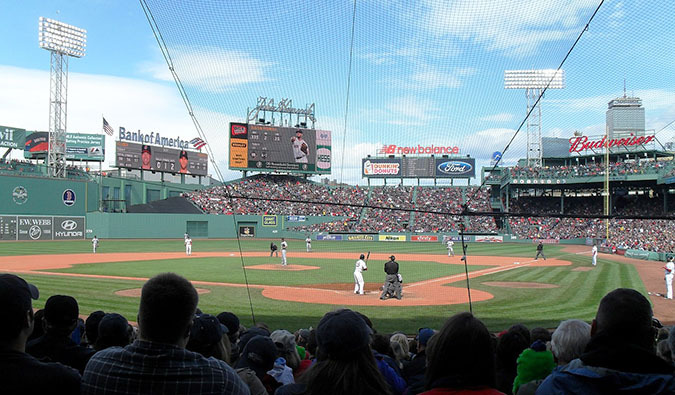 If you really want a Boston sports experience, go to a Red Sox game. If you can’t get in, hang out around the bars near Fenway. Just never, ever, ever root for the Yankees! Founded in 1636, Harvard is the oldest university in America. Head to its home in Cambridge (Harvard Square train stop on the Red Line) and join a free tour. 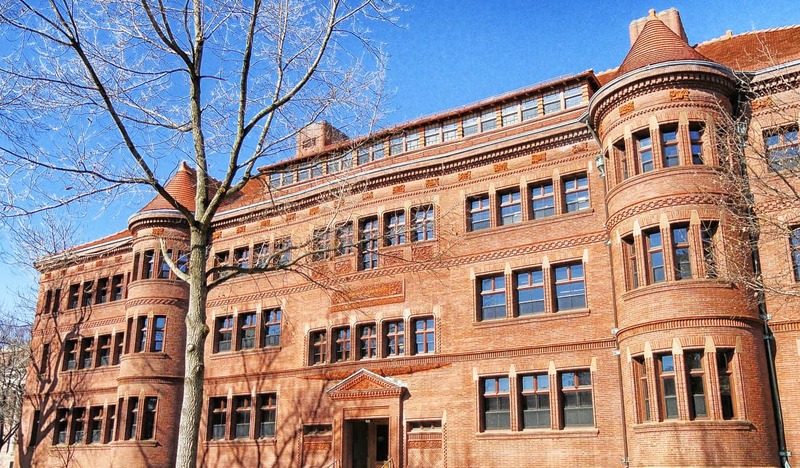 Learn about the university’s history, architecture, programs, and myths. After four days of sightseeing, you deserve a beer or five. Sam Adams is a major brewer in Boston and locals drink it widely and frequently. 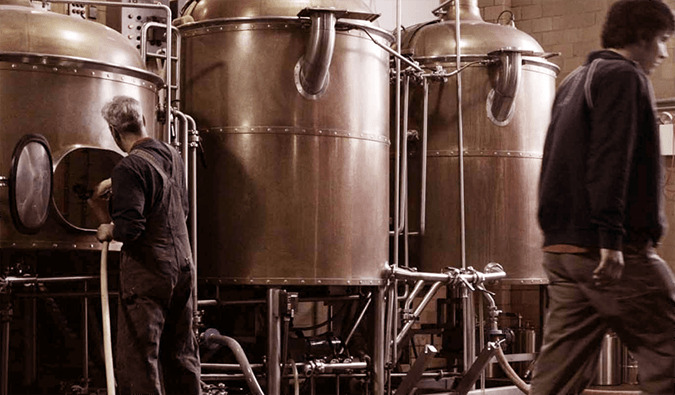 The brewery offers free tours, starting in mid-afternoon and departing every 45 minutes. You get a few free samples along the way. If you’re under 21, don’t worry. You can still go — you just can’t drink. Boston’s a great city, and I’m not just saying that because I grew up there. I’ve never encountered a person who hasn’t liked it. Come to Boston and find out what a great city it is. 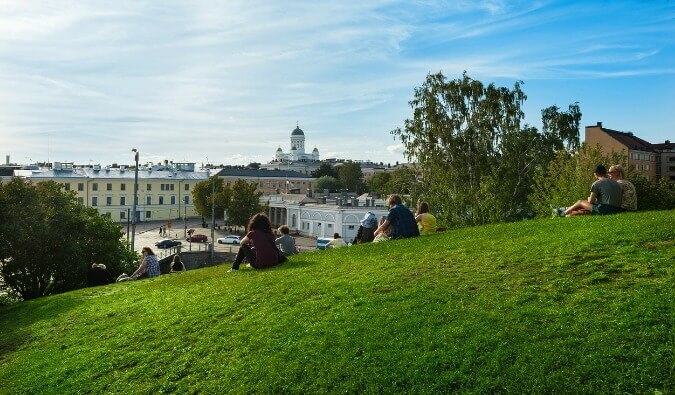 This four-day itinerary will give you a good overview of the city at a nice, relaxing pace. You’ll be moving around a lot, though, so make sure you get an unlimited “T” pass (train pass). If you have more time, you can squeeze in some other activities. But why rush such a beautiful place? For more information on the United States, visit my country and city guides to US travel. 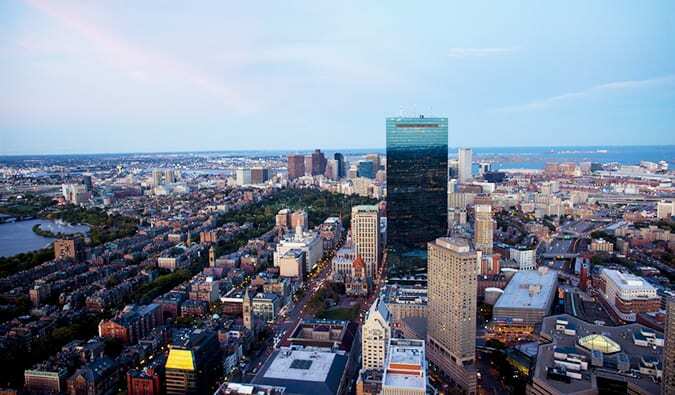 I believe we will be visiting Boston for the first time this spring for the Humanist Conference and will refer to this post. Thanks, Matt. I was able to visit the Harvard campus once during a trip to Boston. I was actually surprised that there are a lot of interesting sights to see there. 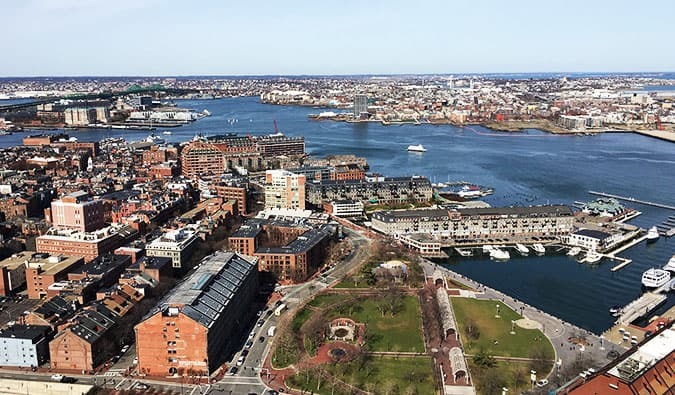 I went to grad school in Boston and this is a great run down of the best to see and do. An insider tip: It’s actually called the Boston Common. Nothing will single you out as a tourist faster than calling it the Commons… or wearing a Yankees hat. Yeah, loved this post. An area that has always interested me. Wonderful photos! True, I haven’t met anyone that didn’t like Boston. This is a great list! I especially love to window shop on Newbury Street after a stroll through the Public Gardens. A Freedom Trail pub crawl is on my to-do list this summer/fall. A freedom trail pub crawl? That is a great idea. As someone whose been living in the Boston area for a long time, I think that if it felt less familiar to me it would be a fascinating city to walk through. It seems to have an interesting blend of old and new in its architecture and neighborhoods. You can be in a small, quaint, hilly neighborhood like Beacon Hill, then turn a corner and be on a busy street with lots of shops and cars. It seems like every time you cross a main road into a different neighborhood its a different world. 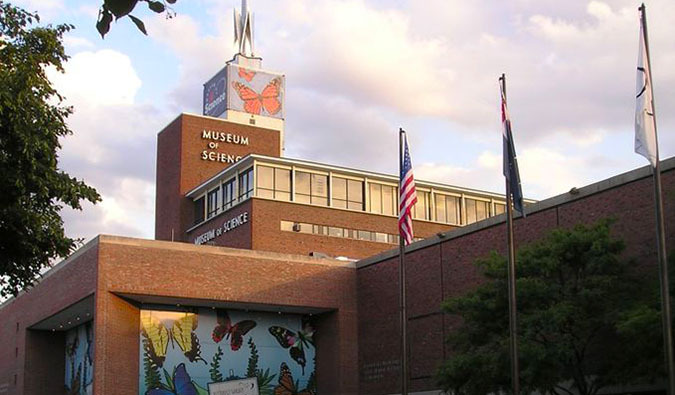 I would recommend you budget at least 1/2 a day for the Museum of Science. It’s amazing at any age (I never get tired of the musical steps!!!) and between the exhibits, the Omni Theater, and the Planetarium, you have tons to see! 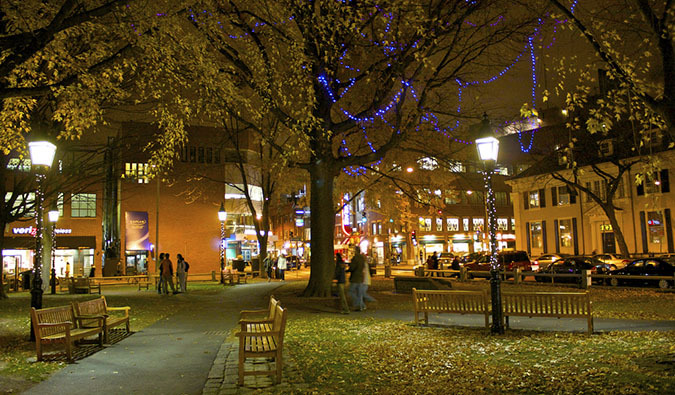 I would also recommend a walk down Mass Ave (Massachusetts Avenue) starting around the Mass Ave T stop (Orange Line) to Harvard Square. It’s about 3 miles but it takes you from Boston to Cambridge, past MIT and through Central Square (an experience on its own), including crossing the river. It may not be a typical tourist path but it will give you some sense of Boston/Cambridge. You can also just take the 1 bus (which takes the same route) if you don’t feel like walking! 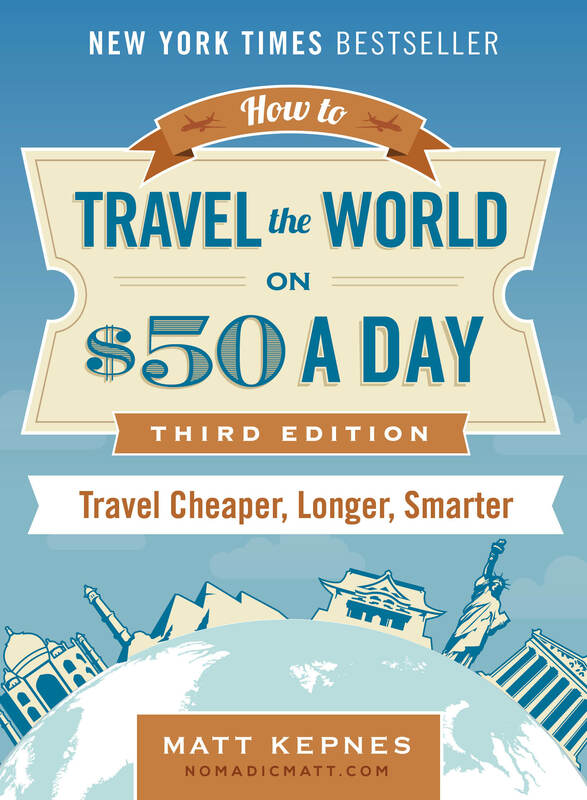 Maja- that’s a great tip- thanks, going April ’16 to visit son. Love the longer walks. This is awesome! Thanks Matt! Will do and see as much as we can. We’re here for a short 4 day stop from our trip to Iceland. Really great info! The pictures and the suggested tours make the travel plans even more interesting. Very well framed in different ways to ensure that we´ll have good quality time! I make my comments when I come back! I am wondering where I should stay to enjoy your itinerary at the top? I have two kids and I’m thinking this may be a wonderful trip to take over March break? Thank you for writing such a great post!!! As someone who visits Boston regularly (my sister lives there) this list is spot on. I’d also recommend the Boston Museum of Fine Art if you’re into that kind of thing. What an awesome list! Will definitely have to spend more than 4 days tho! How is the public transport system in Boston? We are taking my mother in law there for 4 days in August. She has had a stroke and is unable to walk super long distances. Would you think the PT will be okay or would we be wetter of renting a car? It’s very extensive! Subways and buses can take you anywhere! LOVE Boston! Lived there for 3 years. First thing I would tell people back home about it was, you get the big-city feel but with the small-town accessibility. So much to do and see there… would move back in a heartbeat! 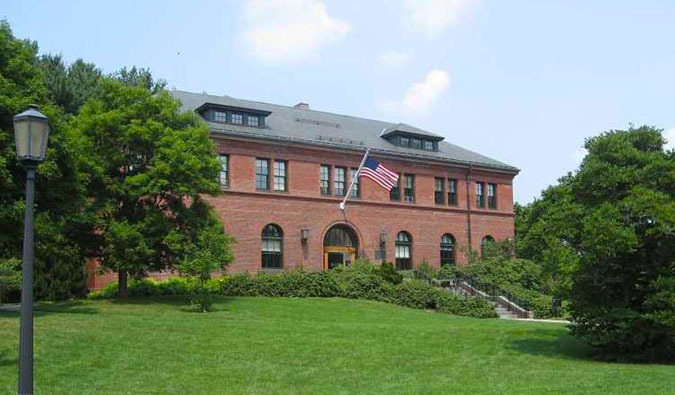 I might add that the museums at Harvard, while small, are really worth the time. The exhibits were used as teaching aids way back in the day. There’s the natural history, the gems and stones, and the Glass Flowers, my fave. A father and son made these lifelike (I worked with plants for years, I can attest) glass models of flowers. They took the secret of how to make them to their graves. My kids loved all three museums. Tricky to find, if you don’t have GPS, but nowadays, should be much easier.